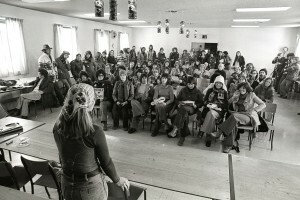 The Voices of Change website was created to promote the Book Voices of Change that came about as the London Women’s History Project Group collected the stories of women who had been active in the community during a period known as the Second Wave of Women’s Liberation. We wanted to let young women know what these women had done to pave the way for them. A huge debt of gratitude is owed to all of the women in this book, and many others who are not a part of the book, who agreed to talk about their lives and accomplishments. Your determination, courage, and energy have forever changed our community and our country and we are eternally grateful! Join Us on March 8 for an International Women’s Day Rally!